Finding ways to get alone time as a single mom may seem like a crazy idea. Between raising the kids, dealing with their schedule, keeping the house organized and working, single moms often neglect to make alone time a priority. 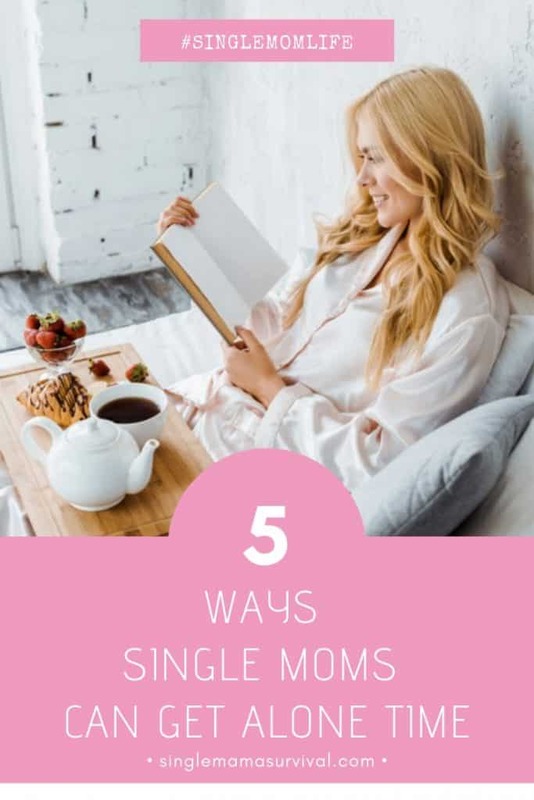 If you’re sick and tired of being drained and pulled from every direction all day long, then you need to use these tips to find out how other single moms get alone time without negatively impacting other responsibilities. The number one rule you need to make in your household, as a single mom, is that your bedroom is a private space. Implement an enter with permission only rule when it comes to your bedroom. This will ensure you’re able to hide in your bedroom during stressful moments of the day to breathe and come back refreshed. While this may not be completely alone time, as kids are known to come to see what you’re up to in the kitchen. Whenever you’re doing some sort of chore in the home, be it folding laundry or cooking up a meal to feed the kids, play music. Having music on alleviates stress and allows you to get some exercise as you dance around completing the task at hand. If you have a special neighbor or grandparent who keeps asking to have your kids for a night, start saying yes to this help. Learning to say yes to elders, friends, or relatives that have a good relationship with your family will allow your kids to have bonding time with other safe adults and in turn, give you a night of alone time to do whatever you want. As your kids get older, they can stay home alone for varying periods of time. If all else fails, you can always work to get single mom alone time by taking a drive. Let the older kids know that you’re going out for a little drive alone to run errands. While the kids may not embrace this idea of mom leaving without them the first time, they’ll get used to the idea and enjoy this time. The number one reason single moms end up all stressed out and don’t get alone time is because they aren’t consistent with rules, boundaries or consequences. Every parent falls into this trap where we give into our kids’ whims, but as a single mom, you have to be twice as strong to remain consistent so that you’re able to create alone time during these busy days of doing everything as a single parent. 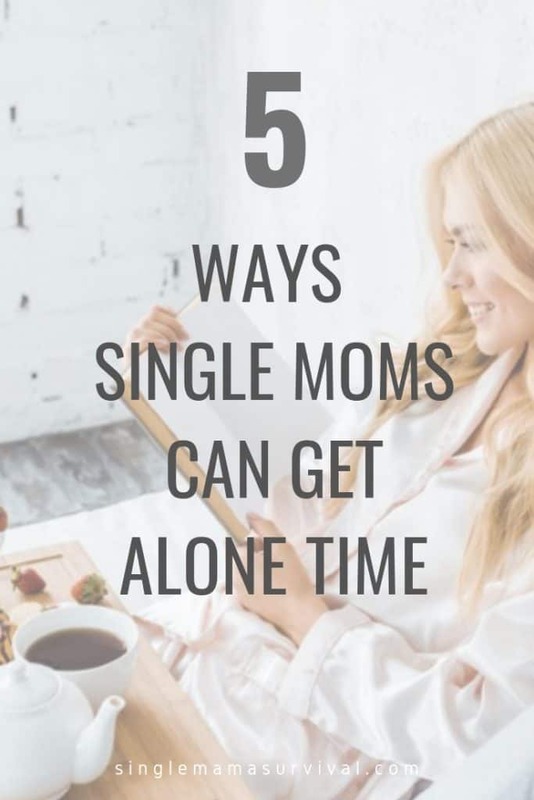 Alone time is defined differently from person to person, these 5 ways single moms can get alone time should give you an idea of how you can start implementing alone time without disrupting other responsibilities in your life.